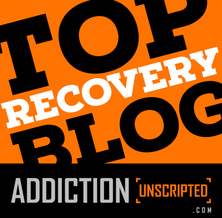 Every time I share that I am a person recovering from Alcohol Use Disorder (AUD), with someone who is not in recovery, it is always in hopes that I may change their negative view of the disease, or that I might be the person that they will feel comfortable enough with to ask for support if needed. Unfortunately, many people continue to believe that Alcohol Use Disorder (AUD) is a character flaw or a weakness in a person. They may believe that the affected individual simply cannot hold their booze and should just STOP! But it is not that simple. A huge part of the Substance Use Disorder (SUD) is the inability to stop using despite the negative consequences. For many years, I struggled to manage my alcohol consumption, but not knowing that I actually had a disease, it proved to be extremely difficult. Just like most people, I could not grasp the power of it, and I found myself puzzled by its controlling nature. I know that if I was not affected by this disease, I would have never come to a point in my life when it took over me so hard that it robbed me of everything and everyone. This did not make any sense – how could I be continuously choosing this over my life!? I thought, any other person that would have found themselves in this condition, would immediately quit drinking, and probably cold turkey too. But not me. I drank many more years, and despite many serious consequences, I still could not stop. What was wrong with me? Was this my choice? No, it was not! Did I want to quit? Hell, yeah! Every day I swore that I would never, ever drink again; and every single day, I drank again. For many years, I held the same stigma towards people struggling with substance use disorder so the decision to quit drinking proved to be a huge challenge! All I could think of was that if I ask for help with getting sober I would be admitting that I had a problem! I was also afraid of the judgement that I thought I would receive, just like the judgement I had previously held of others who had addictions. I was petrified to ask for help! I was petrified to step my foot into a meeting, I was petrified to go to a rehab, and I was petrified of telling anyone anything pertaining to my disease, or even my pursuit of recovery. In those days, I did not feel like getting sober was an amazing decision. Instead I felt lots of shame and embarrassment, and I most definitely did not want to be an alcoholic – the word itself carried so much shame and stigma! So admitting that I had a problem and needed help was extremely overwhelming. Then, early in recovery, I longed for acceptance from my family, and friends, and the society. I wanted to be able to share my struggles and challenges, as well as the amazing changes in my life that recovery was bringing. Yet, I felt that I was not able to share those moments because I feared the stigma that I would possibly have to face. I wish I had felt differently back then. I wish that maybe instead of holding on to my shame I could have been looking at this as any other disease and thinking, “I am sick, I need help.” I wish I did not have to feel like I had to hide my recovery too. 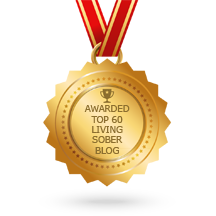 I wish someone had told me that the journey to sobriety was courageous and empowering! I wish I knew that there were people out there who cared, and would support me, and cheer me on, every step of the way. I think it is very important to deliver the message that recovery is attainable no matter how far down you have fallen! My hope is that no afflicted person will ever feel alone, hopeless and stigmatized. I would like for people to understand that Substance Use Disorder (SUD) is a disease, and that recovery from this disease is as amazing as running a marathon, or climbing a mountain. WE NEED TO BE THE CHANGE! but instead we must be PROUD, BOLD and LOUD! Hey man, my sister and arms! We cannot be defined by the worst we’ve done. We are sick people getting better not bad people trying to be good. Love the spirit of this one Magz. I found myself sort of pumping my fist as I read it. Thank you for your gift. I think we have to remember this line “For many years, I held the same stigma towards people struggling with substance use disorder so the decision to quit drinking proved to be a huge challenge! Because until you experienced the thing that finally drove you into sobriety despite your shame you could not get it. So we can offer the solution to others, but until they experience the thing that makes them surrender, they simply cannot use your suggestions. Non-alcoholics will never understand the “disease” part of alcoholism. The one thing they can get is that as long as you stay sober your life is beautiful. You are the attraction. People who are alcoholic and drinking and want to quit, still have to be pretty badly mangled before they seek help, sad but true. Just seeing your progress though speaks much more than you may think. I’m 26 and counting. I know I should have hear that before, but I’m still a little shy when I talk about my ADDICTION with non-recovery people. Thanks for the shot of courage! Nice job my warrior friend!